Little Greene Intelligent Matt Emulsion in Leather is part of Little Greene’s 70s collection and will make a bold statement in any room. This eye-catching bright pink shade was used extensively throughout the 1970s and looks especially good in a bedroom, living room or dining room. Little Greene Intelligent Matt Emulsion in Leather can be toned down by combining with more muted shades on other walls or used in combination with Little Greene’s Purpleheart colour for a more daring colour scheme. 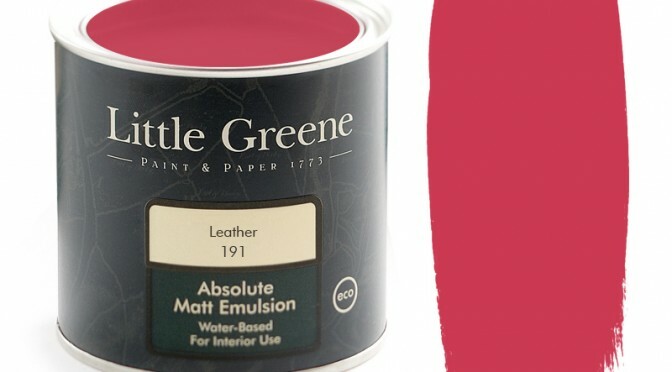 Intelligent Matt Emulsion (formerly known as ‘Ultimatt’) is Little Greene’s ground-breaking paint – it’s matt, environmentally-friendly and completely washable. This makes it suitable for all areas of your home including kitchens, bathrooms, children’s rooms and high-traffic hallways. Little Greene Intelligent Matt Emulsion in Carmine is a great way to add a touch of colour to your home for a sophisticated look. This dusky pink tone was first introduced by migrants from the Indian subcontinent and works especially well in the living room or bedroom. 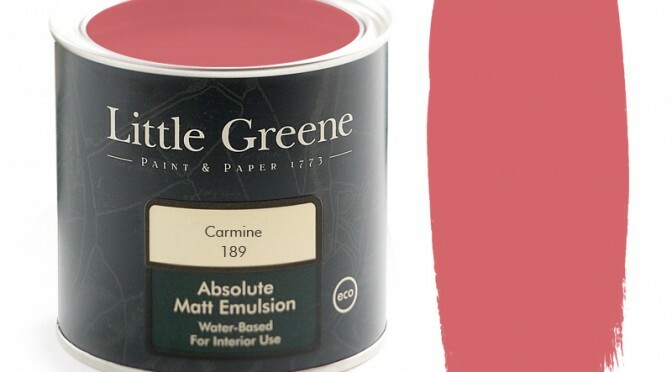 Use Little Greene Intelligent Matt Emulsion in Carmine throughout a room or as an accent colour in one of many Little Greene colour schemes for a fashionable look. Coordinate with matching soft furnishings and contrasting accessories to complete the look. Little Greene Intelligent Matt Emulsion in Theatre Red is a striking colour from Little Greene’s 70s collection. This intensive shade of deep red has a luxurious and sophisticated feel, making it a great addition to any room of your home. 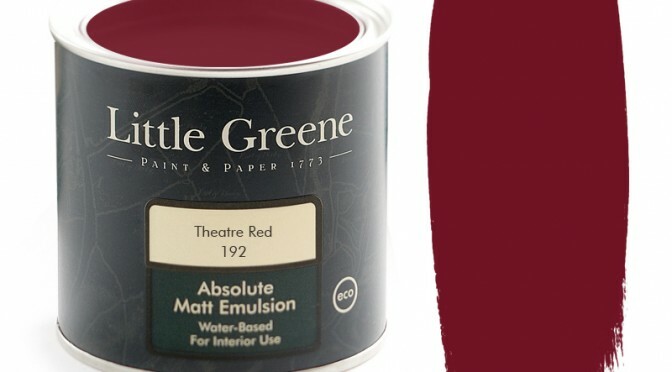 Used extensively throughout the 70s and 80s, Little Greene Intelligent Matt Emulsion in Theatre Red is still a popular choice today. It can be used as a focal colour on one wall or used as an accent colour in many Little Greene colour schemes for a great new look.